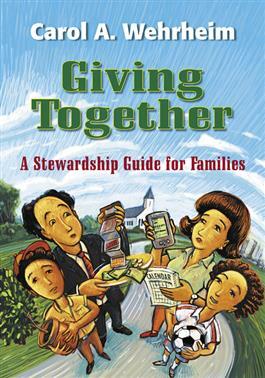 In her follow-up to Getting It Together, Carol Wehrheim presents a concise, accessible resource to help families better understand the importance of stewardship: in the family, in the congregation, in the community, and in the world. Reminding us that stewardship is about much more than money, Wehrheim clearly illustrates a more holistic understanding of the concept to include careful consideration of the choices we make that show the role Christian discipleship plays in our lives. She skillfully analyzes biblical passages and identifies spiritual practices intrinsic to stewardship as a way of helping families respond to their call to be stewards in today's world. Including both a participant's section and a leader's guide, Giving Together is ideal for group or family study.